It goes without saying when you have a device like the smartphone, then surely all of the other accessories that go along with it would also need to be equally “smart”, and I correct? 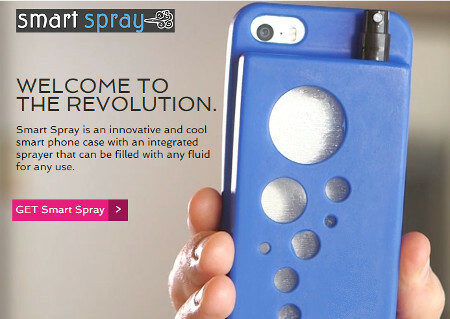 If that is the case, then this idea of a Kickstarter project might interest you – the Smart Spray. It is essentially a smartphone protective case, save for the fact that it also comes with an integrated sprayer which will be able to hold the likes of perfume, sun block, hand sanitizer, breath spray, mosquito repellent – anything else that you can think of. Sounds smart, but it might also end up being a royal mess if it does not work out right.